Last week the UK government launched an initiative to get more women on the boards of the top FTSE companies. 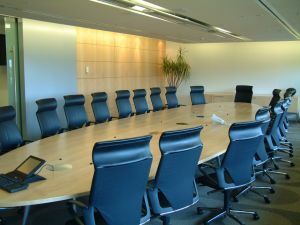 The proportion of women on FTSE 100 boards has plateaued at 12.5%, having increased little over the past three years, according to Cranfield University School of Management. In the FTSE 250, the proportion is just 7.8 per cent and more than half of companies have no women directors. Other countries don’t have this problem. Norway introduced quotas which have been met; they now have 40% women on boards. I have family in Norway and attitudes there towards gender equality have long been different. When my sister in law and I had children in the 80s the attitudes and provision of childcare in our respective countries were absolutely poles apart! Even back then her husband could take time off as paternity leave. My partner discovered, almost by accident, that there was a discretionary 5 days leave for new fathers, which he promptly asked for. He was told he was the only teacher to have ever asked for it and ribbed mercilessly by his sports teaching colleagues. There are lots of good reasons why companies should have women in very senior positions (apart from the fact that it’s just plain right!). Companies who invest in women’s development find it reaps rewards across the board (no pun intended). But not just one token woman; the real changes begin when there are three or more at board level. I believe that leads to a dissonance, a misfit for most women that often accounts for why women dip out before they reach the top (along with all the other factors mitigating against women). We need to change the model so it works for all the workforce, not just half of it. So many discriminatory practices are so embedded in working culture that many of us don’t even notice them half the time; from how jobs are advertised, language used, how recruitment and interviews work (quite adversarial) to how women are treated in organisations. I have come to believe that in house all women groups probably don’t help, at least in respect of those which exist to try and change the culture to one more gender balanced. I think they work well for women in other arenas but actually, if you want to change attitudes in the workplace, everyone has to sign up to it. Women’s groups run the risk of saying to men, “this is an issue for women, this is our problem”. Which allows it to become ghettoised. In fact, it is everyone’s problem and everyone in a company needs to understand and address it. So Why Do I Run Women’s Courses? It’s a good question and one I have answered more fully in a previous post. Men and women are different and currently the issues for women in the world of work are very different than those of men. The overall aim of my courses is to raise women’s aspirations and give them the confidence to challenge the status quo, to push themselves. I don’t bar men from these sessions but I have written and designed them with women in mind. Generally the issues are not pertinent or relevant for men. Men and women respond differently to personal development type seminars and generally speaking women are more comfortable exploring these issues with other women. The call for gender equality is not about pretending we are all the same. It is about celebrating that difference and not allowing one to dominate. It is valuing the different qualities which women bring to the workplace as well as those of men. Women are not men, and should not have to behave like men to get rewarded in the world of work. Society needs both men and women in the top echelons, middle echelons, and across all sectors of society. Bring on the women! if you’d like to find out more about my course for women on the way up, please click this link. there are multiple set of reasons why women don’t break the glass ceiling either in a corporate business or under their own steam. First if you have children you get NO support so you have to pay very heavily unless you have family who are on call 24/7 to shoulder all the burden – if you don’t turn up for a meeting as your child is ill your instantly seen as weak or not up to scratch. If you have your own business banks treat you in a patronising manner and give NO help until you have made money …..
Plus if your successful your always referred to in a way which marks you out as a freak – you just never win …..
Re-tweet for you. The comment at your blog is so good too. You are doing great job for women on a full time basis. You yourself need to be recognized by these organizations.